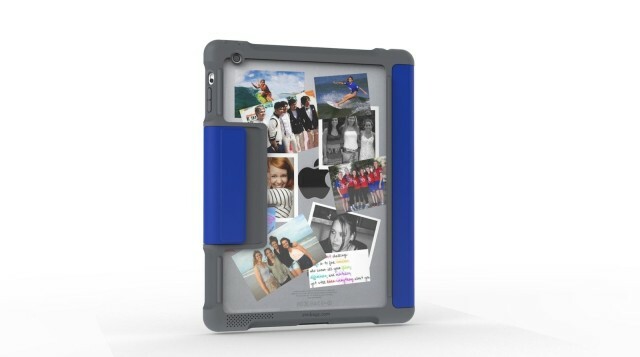 STM's Dux iPad case is so new there aren't even any photos yet; you're looking at a CAD mock-up. Just like the old Trapper Keeper, the STM Dux iPad case keeps all your notes (which are actually inside your iPad, safe within the Dux’s covers). You can plaster photos all over the inside of the clear plastic back. And it even has a little flip-open clasp that keeps the front cover from opening. But this is the 21st century, and we’re all bigger, badder and on steroids (or bigger and badder because we’re on steroids. Either way, kids, don’t do steroids).So STM appropriately hardened the Dux: The front clasp is magnetic, not Velcro; the plastic backing is polycarbonate instead of vinyl; and the whole thing is covered in a thick helping of rubberized brawn. There’s a Dux for practically every iPad out there except the original: The iPad 2/3/4, The iPad Air and the iPad Mini/Retina. The full-size Dux is $50, the Mini $45.